TransReel: Text from Pixel Film Studios brings FCPX users back to the basics with easy-to-use, scrolling reel transitions. TransReel: Text includes editable text and multiple secondary Drop Zones for added style and functionality. Each transition can be styled to look like a professional slideshow or photo album in just a few short seconds. 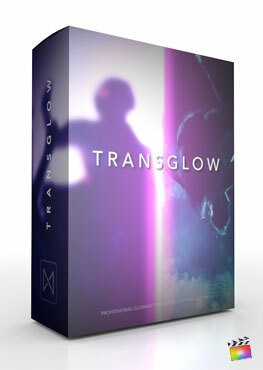 TransReel: Text includes over 100 preset styles for the FCPX user. These transitions include everything from simple directional wipes to slide animations with up to three editable drop zones. FCPX users can pick left to right slides, top to bottom movements, and more. Added motion blur options are included for even more realism. FCPX users can add in any phrase or message they want as the transition moves from one shot to another. Text can be placed anywhere and the depth can be changed for unique parallaxing. FCPX users can change the text color and title bar color for added styles and visual appearance. Dividers can also be modified for larger or smaller borders between Drop Zones. TransReel: Text is a simple set of transitions that can be applied between clips. FCPX users can retime their transitions by simply dragging them out to the appropriate length. Speed controls are also available for users to modify, giving each sliding animation a different feel. TransReel: Text is a unique set of transitions, specially designed for Final Cut Pro X. These drag and drop transitions are easy to use, giving film makers time saving controls for professional looks. Motion blur options are also included for those added realistic movements. Where do I find TransReel: Text? Once the installation is complete, you can find TransReel: Text in the FCPX Transition library.